Brighten up your party with these 350ml flashing drinking glasses. Push the button on the base to choose from 8 different flashing modes. 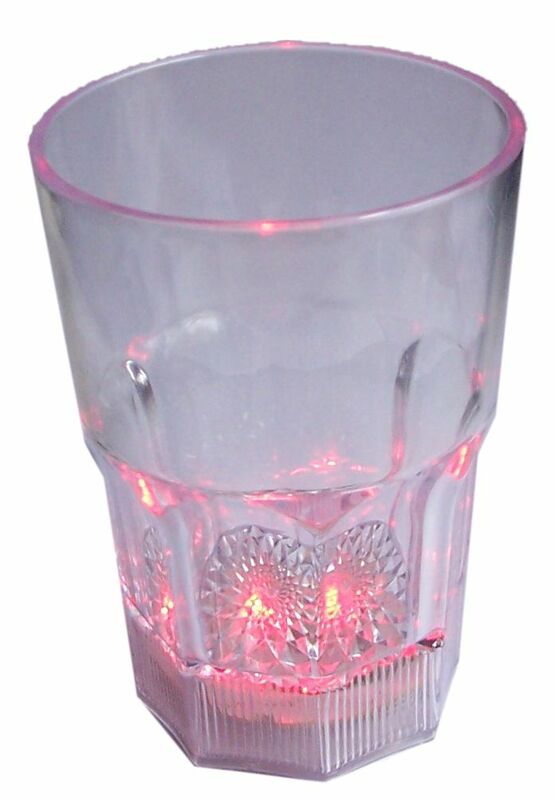 The glass flashes with a single colour or multiple colour variations. Made from plastic and completely washable. Batteries are included and replaceable.